Free markets could soon deliver a much different energy scenario. Prince Turki al-Faisal, the Saudi Arabian Ambassador to the U.S., recently told the United States Energy Association that any U.S. conflict with Iran would threaten the Strait of Hormuz and triple the barrel price of oil. Of course, such language could be an attempt to get President Bush to rule out the military option as Iran pushes to weaponize its uranium-enrichment program. But the administration will not rule anything out as it grapples with this belligerent power. #ad#That said, I’d like to challenge the prince’s assessment of the potential direction of oil prices, and the idea that the Middle East necessarily holds all the cards. The Energy Department just announced that crude oil supplies rose 1.4 million barrels to 347.1 million for the week ended June 16. Analysts had been expecting a drawdown, so this news caught them by surprise. More, crude oil supplies in the U.S. are now at their highest levels since May 1998, when oil was trading around $15 a barrel. Add in the fact that Canadian oil inventories are fully stocked, and the more imminent reality is of a sizable oil-price decrease — not a huge increase. Recently I interviewed four oil-tanker executives who control a combined 85 percent of the oil coming into the United States. They confirmed market rumors that the amount of oil being stored on large carriers on the high seas is abnormally high. One of the CEOs even predicted the possibility of $40 to $50 oil in the next 6 to 12 months. In another interview, Chevron CEO David O’Reilly suggested that gasoline and energy demands have flattened in the U.S., and may be showing signs of decline. Prince Turki can threaten $200 oil all he wants, but we may instead be looking at a downward correction that will have oil prices dropping more than anyone imagines possible. Supplies are at their highest levels in eight years, while demand appears to be falling, or at least leveling off. Should a significant price correction be in the offing, stock markets and the economy will cheer. The economic principles at work here are very simple: Markets work. Supply and demand works. Higher prices are gradually slowing consumption. At the same time, those high prices continue to stimulate outsized profits and investment returns. So capital is pouring into all the energy sectors, providing a strong foundation for new energy production. Chevron, for example, is reinvesting virtually all its profits in new oil-and-gas exploration and drilling. The drilling industry, meanwhile, has recovered from last year’s Hurricane Katrina shock and is once again producing near peak capacity. There’s even good news from Washington on the energy front. The House Resources Committee, chaired by California Republican Richard Pombo, has just delivered the Deep Ocean Energy Resources Act, which will give coastal states the authority to drill 100 miles or more offshore. This will allow for exploration and production in the deep seas and on the Outer Continental Shelf (OCS), where kajillions in oil-and-gas reserves are waiting to be siphoned. It also will provide the coastal states with significant oil and gas royalties. Democratic House Minority Leader Nancy Pelosi opposes this, but the bill has strong bipartisan support. A combination of market forces and government deregulation could be setting us up for a big crack in energy prices, including gas at the pump. And it may happen sooner rather than later. Many years ago, during the 1970s oil crisis, Milton Friedman argued that free markets are more powerful than OPEC, and Ronald Reagan proved the point when prices plunged after he deregulated energy in the early 1980s. Twenty years later, energy-market forces may be poised to assert themselves once more. Iran and its allies will continue to rattle their sabers in an attempt to boost the value of their only cash crop. And of course, a gunboat battle in the Strait of Hormuz will temporarily boost prices again. But pessimists keep making a one-way bet on sky-high oil prices that will doom the American economy, even though record low tax rates on capital have so far prevented anything like this from happening. Conventional forecasters understate the economic power of free markets, low marginal tax rates, and energy deregulation. As a supply-side contrarian, I’ll take the other side of that trade. Indeed, as future events unfold, we may be headed for a much different energy and economic scenario. 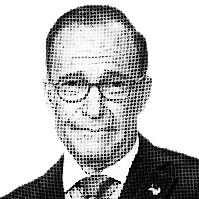 – Larry Kudlow, NRO’s Economics Editor, is host of CNBC’s Kudlow & Company and author of the daily web blog, Kudlow’s Money Politic$.